The North Indian Ocean over the Arabian Sea will witness an increase in the frequency of extremely severe cyclonic storms owing to anthropogenic warming, says the Intergovernmental Panel on Climate Change’s (IPCC) much-awaited Special Report on Global Warming of 1.5 degrees Celsius. The report was published today after week-long deliberations by government representatives from 130 countries and 50 scientists in Incheon, South Korea. This report is reiterating the fact several other scientists have been saying for a while now from a bigger platform. 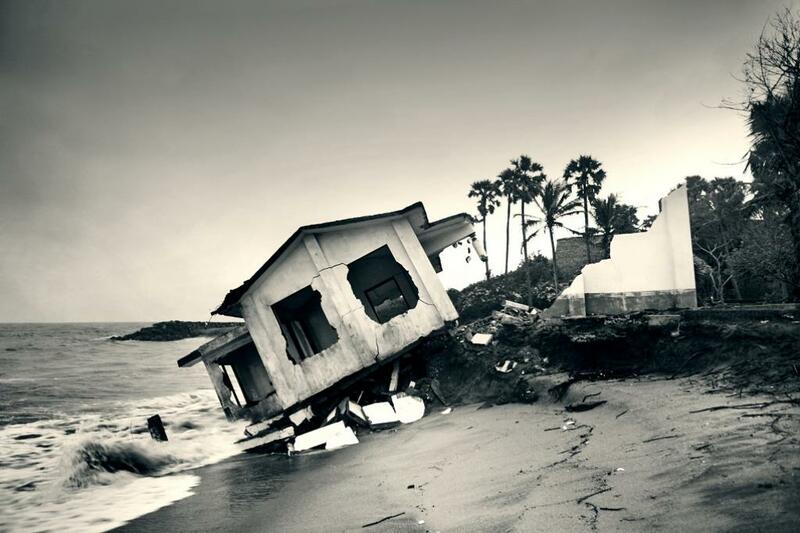 “Coastal flooding by the sea is likely to cost thousands of billions of USD annually. Risks are projected to be highest in south and south-east Asia. Countries where at least 50 million people are exposed to sea level rise include China, Bangladesh, Egypt, India, Indonesia, Japan, Philippines, United States and Vietnam,” adds the special report. Scientists, in a global-level analysis of rising sea levels published last year, estimated that even small amounts of sea level rise, at 5-10 centimetres, can double the frequency of extreme water level events—and this can happen as soon as 2030. This is not the only one. According to a news report, Shailesh Nayak, the former Union Earth Sciences Secretary, had warned that cyclonic turbulence was expected to increase in the Arabian Sea owing to global warming. “Cyclones in the Arabian Sea are likely to increase in the near future. Looking at the pattern of the cyclones that have begun appearing in the Arabian Sea since a couple of years, we can see that it is bound to increase in coming years,” Nayak told IANS. Another study, a working paper published by National Bureau of Economic Research (NBER), suggested that coastal flooding, which will be caused by climate change-induced sea level rise, will disrupt global economy. And, this will cause huge shifts in the economic activity. By 2200, 1.46% of the global population will have to move to inland regions, estimate the authors. They add that this movement of the population will cost the world quite a lot. India has been struggling with cyclones too. It recently fought off cyclonic storm Daye, which triggered heavy downpour accompanied by high velocity winds in Malkangiri in Odisha. Now, environmentalists can only hope that the IPCC report’s aim to strengthen the global response to the threat of climate change, sustainable development, and efforts to eradicate poverty, is taken seriously.